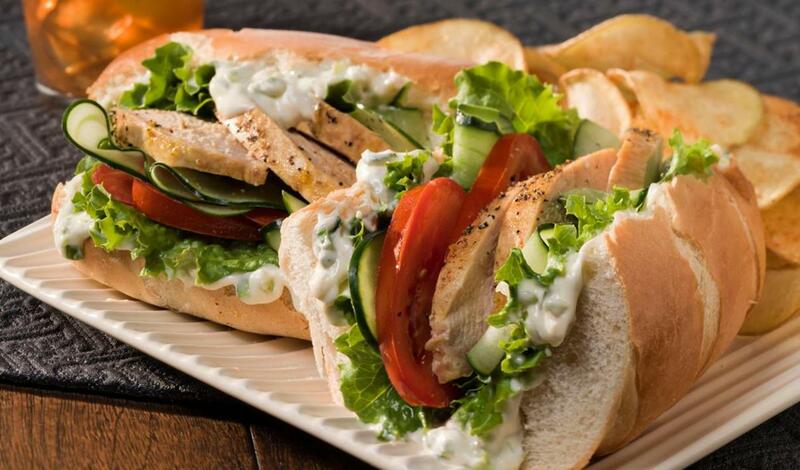 Greek mayonnaise brings Mediterranean flavors to life in this cucumber, mint and chicken combo. Thoroughly combine Hellmann's® 1/2 The Fat, sour cream, cucumber, and mint. Keep refrigerated until service. Spread cut sides of roll evenly with Greek Mayonnaise. Layer bottom of roll with lettuce, tomato, chicken and cucumber. Replace top of roll; serve immediately.